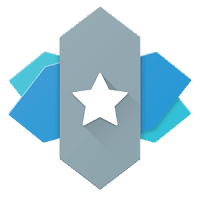 TeslaUnread provides unread count badges for Nova Launcher and WidgetLocker and free to download from play store. Confused! how to use it follow bellow guide to setup properly and see how many unread messages you have in your apps. It will not work with other desktops or lockscreens. Unread counts are natively supported for the most popular chat and email apps, such as Hangouts, Whatsapp and all the apps shown in the screenshot. Additionally on Android 4.3+ can watch the notification bar to extract unread counts from virtually any app. Enable it in Nova Launcher or WidgetLocker Settings > Unread Counts, here you may also customize the style of the badge, such as the size and colors. launch the and then select the apps that you would like to show the unread counts. launch the Nova Settings and go to Unread Counts. Finally you can make use of the Badge Style and Badge Position to customize the numerical badge.